Do you have a company party? Or a meeting? 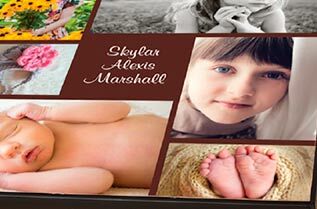 Put your company in the spotlight by sublimating tables with your photo. The tables are printed by dye sublimation. The result is brilliant! 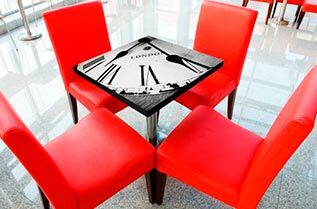 By using sublimation technique in combination with the coating of ChromaLuxe you have a table that stands out! 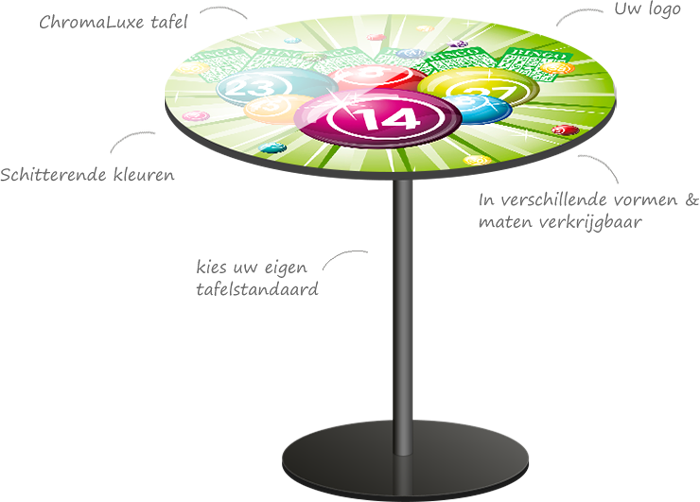 ChromaLuxe tabletops are only available in standard formats. These tables are also only suitable for indoor use. 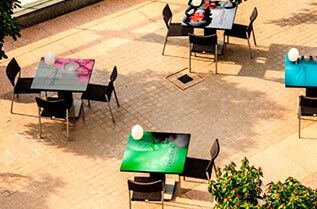 It is also possible to order tables with a photo for outdoor use. The tables can be supplied on request in any size. he printing of the table is done by using a transfer press. The table top is placed under the transfer press at a high pressure and temperature. The special sublimation inks takes a gas form at a high temperature and attracts into the coating layer on the table. After a certain time, the table top is removed from under the transfer press and the ink is drawn into the coating. 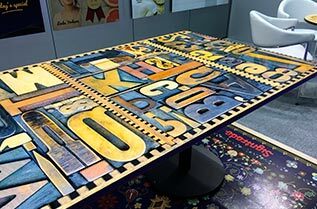 Printing the table with sublimation technology produces a brilliant result. The special coating of ChromaLuxe gives the photo on the table extra gloss and depth. If you are looking for a complete table for both indoor and outdoor use, we deliver standing tables in a standard format. These tables are suitable for indoor and outdoor use. The table top can be folded down. Any desired photo on the tabletop is possible. Very nice to promote your company at trade fairs or exhibitions. ChromaLuxe stands for high-quality sublimated photo products. The table has a beautiful look and feel. ChromaLuxe's coating gives the photo extra depth. 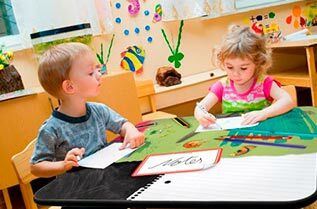 This coating also ensures that the tabletop is easy to clean and even makes it possible to use the table as a memoboard. Fun for brainstorming sessions around the table. Each company has its own look and feel. We let you choose which table stand suits your company's requirements. A table stand can then be mounted on the ChromaLuxe tabletop. The photo is directly printed on the table by sublimation. 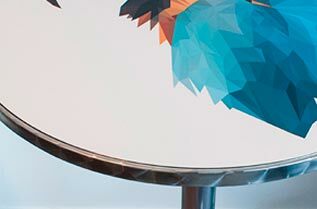 The ChromaLuxe table top has an extra thick coating layer in which the ink is sublimated. We do not use glass or glue.